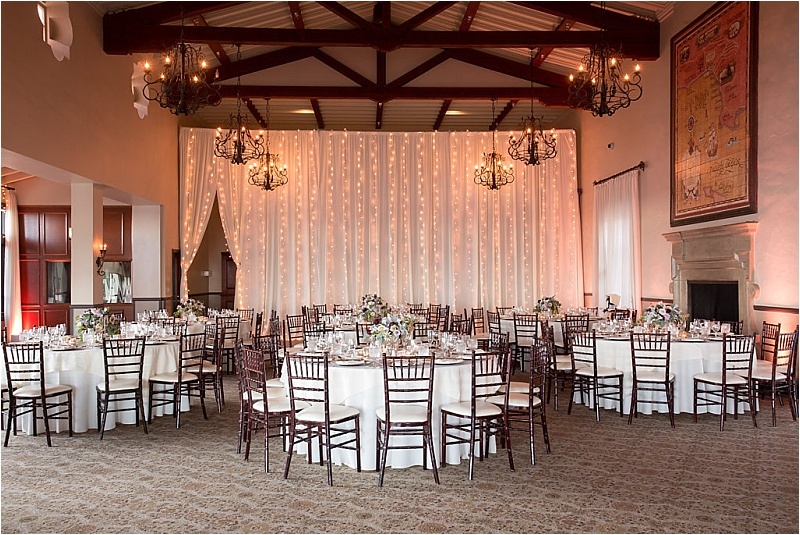 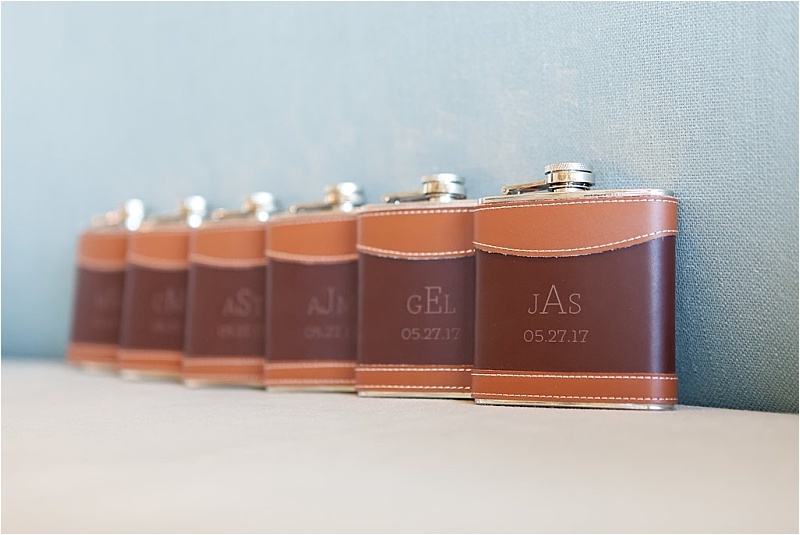 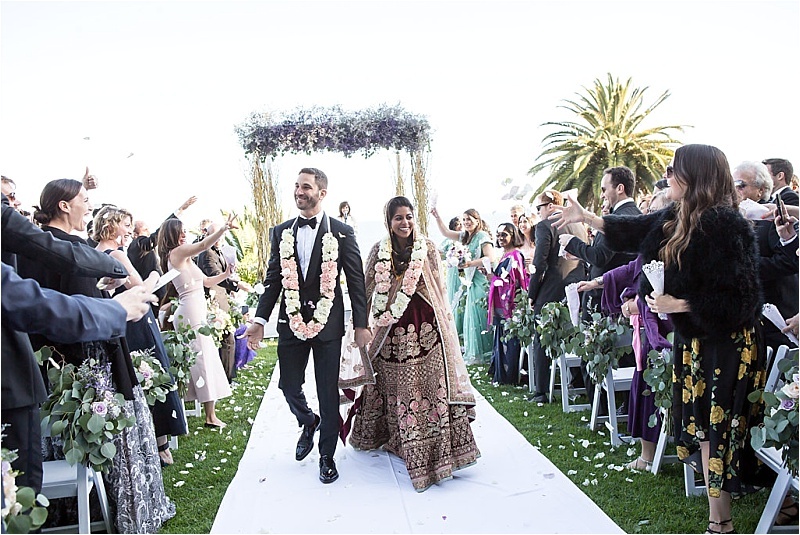 Lakshmi and Gabe dreamed of getting married by the sea, and the Bel-Air Bay Club offered everything they wanted. 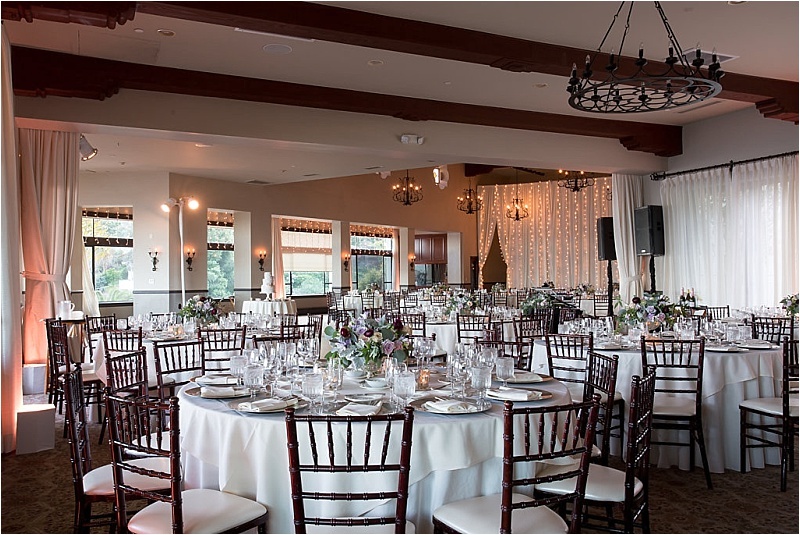 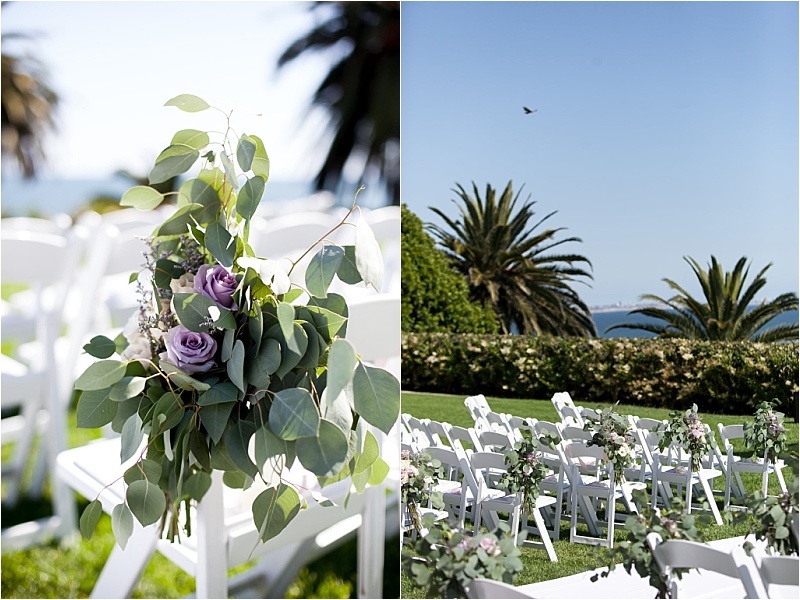 The historic 1920s detailing and pristine sophistication of the venue provided the perfect backdrop for a day inspired by the Pacific. 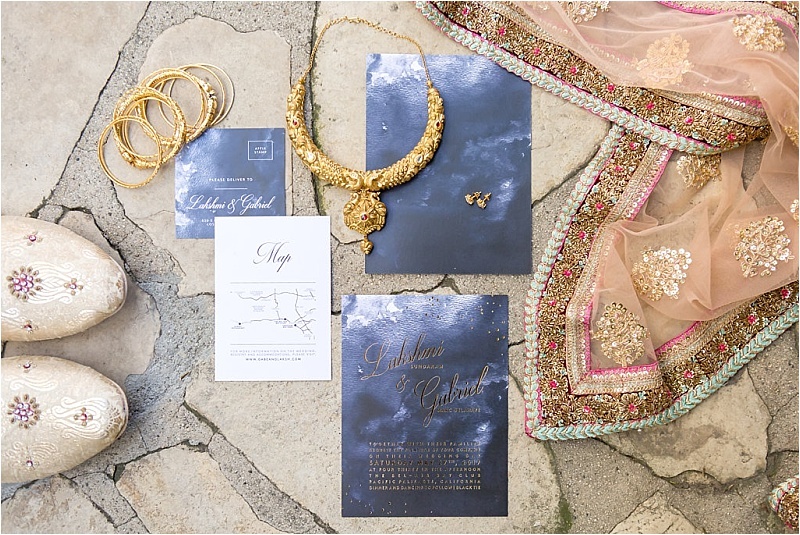 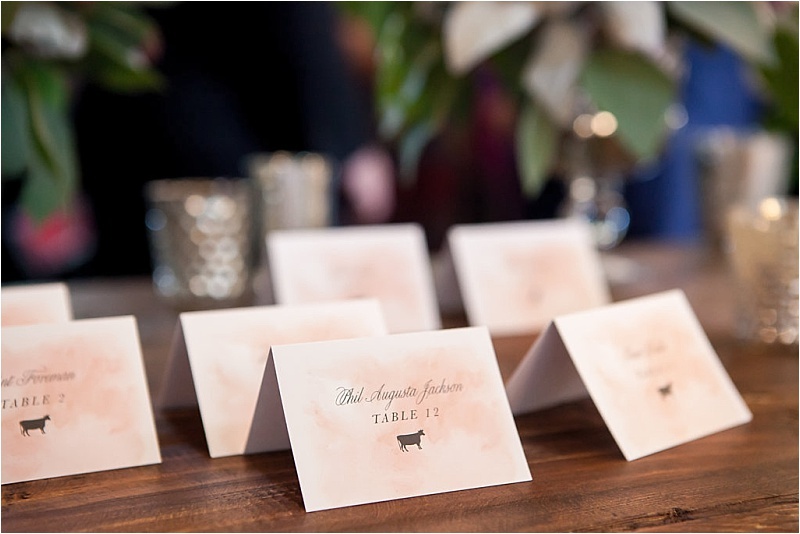 Lakshmi spotted dreamy invitations on Instagram from Australian design studio Nestle & Porter that flawlessly captured the beautiful essence of a classic beachside wedding. 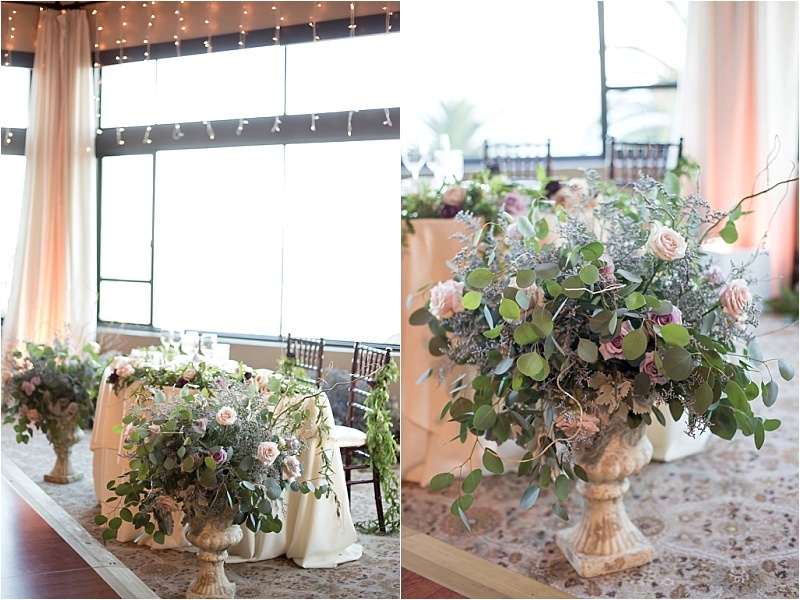 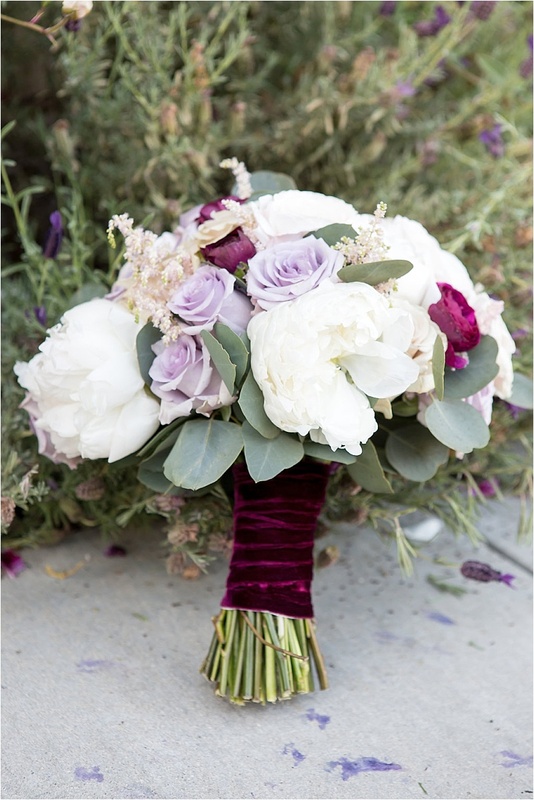 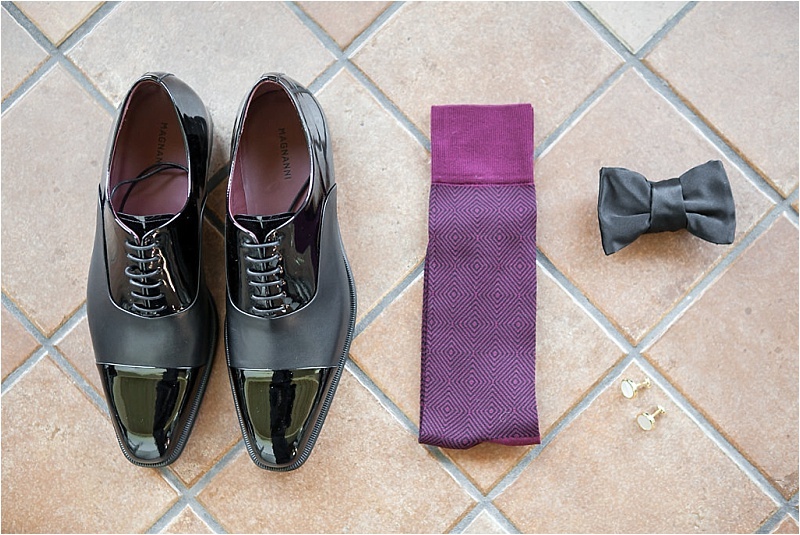 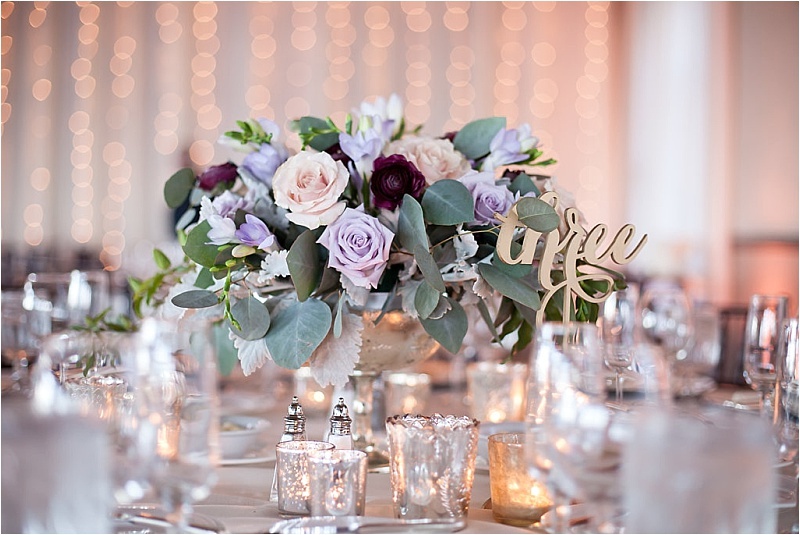 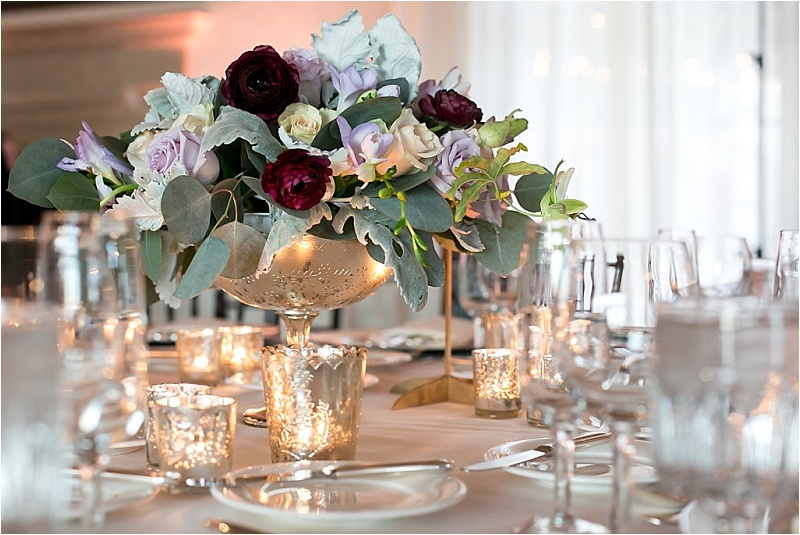 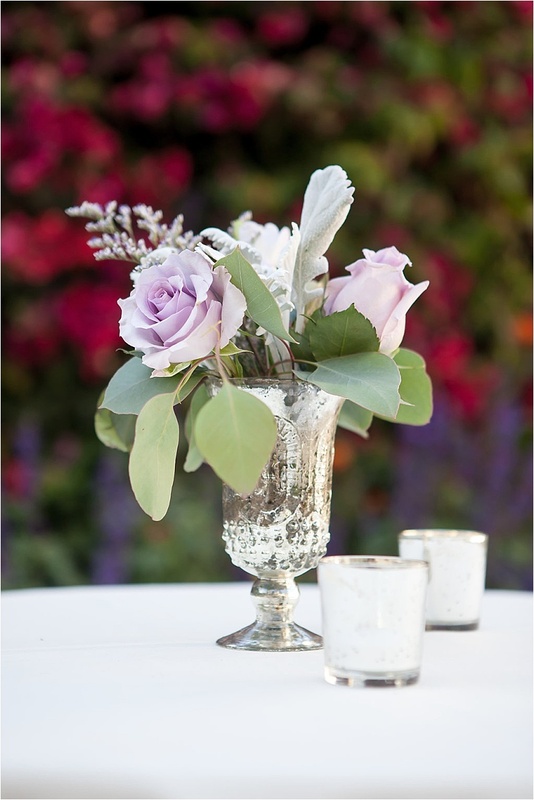 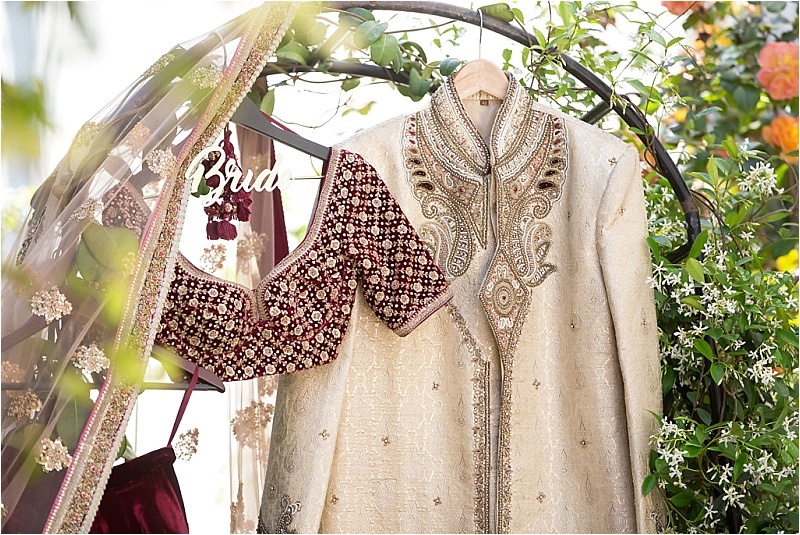 The romantic design served as inspiration for the vibe of the day. 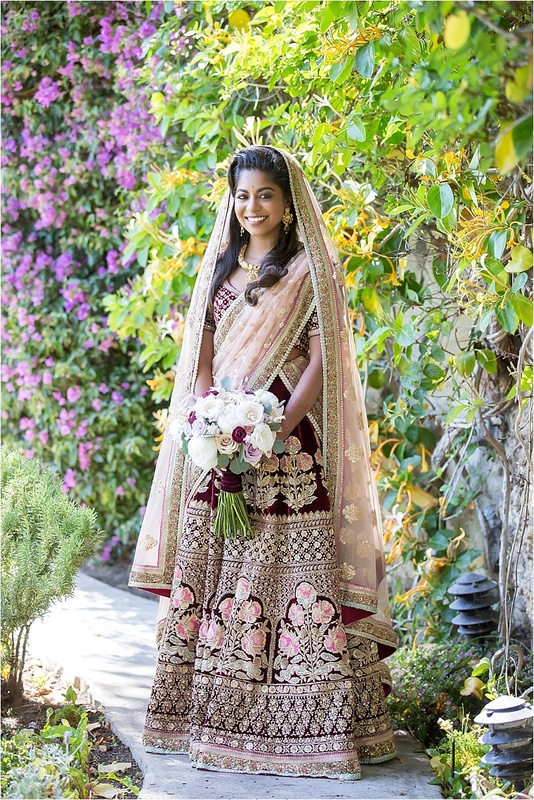 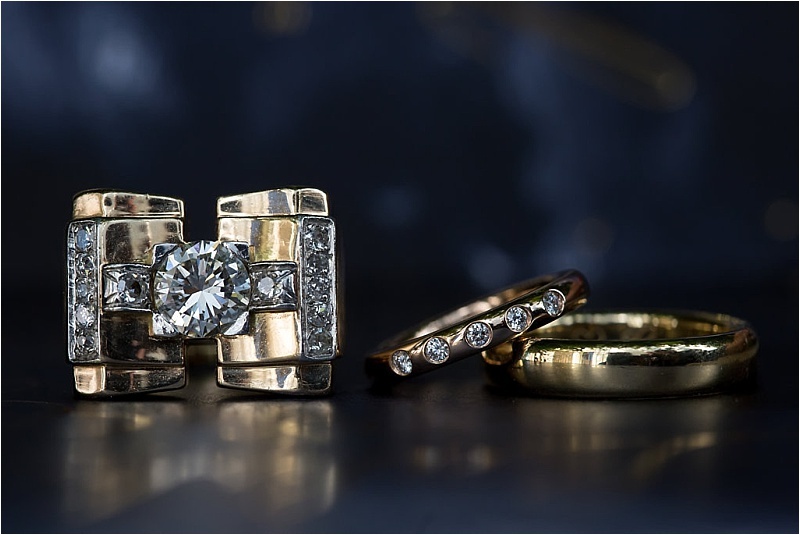 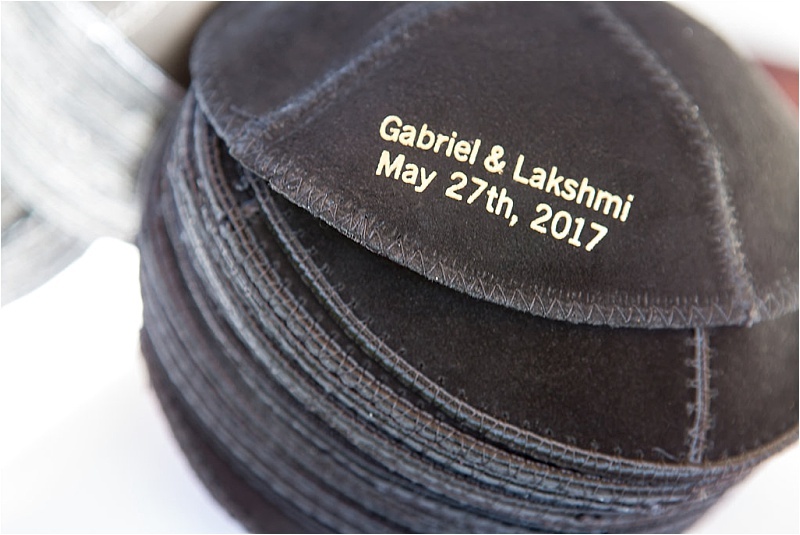 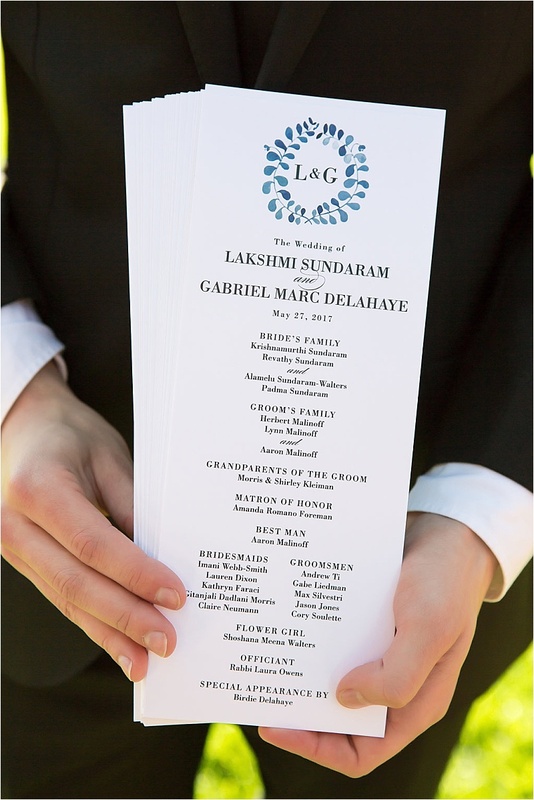 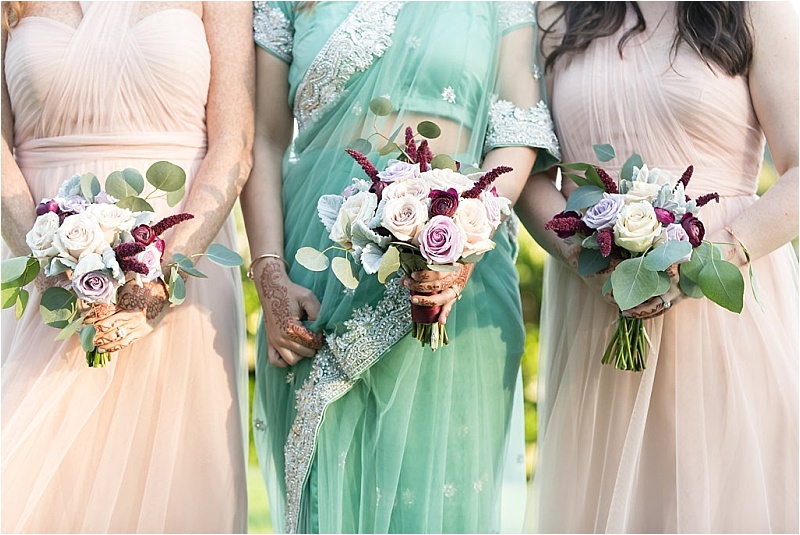 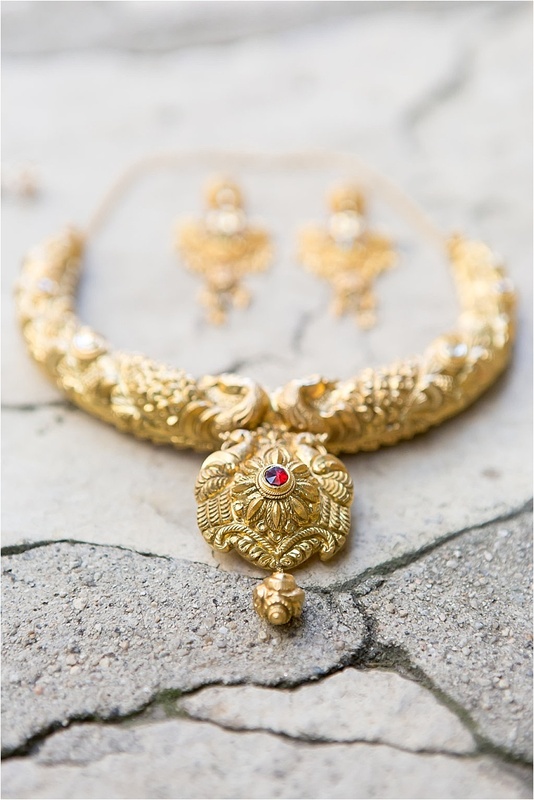 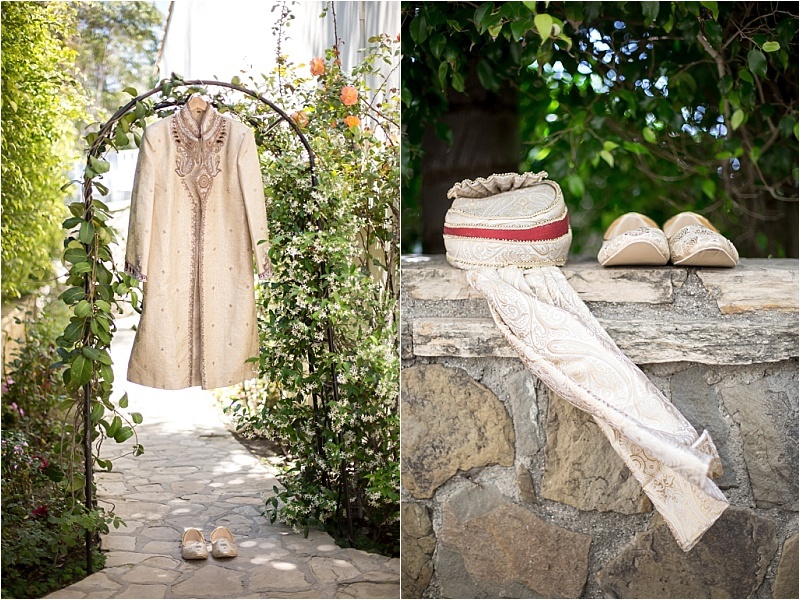 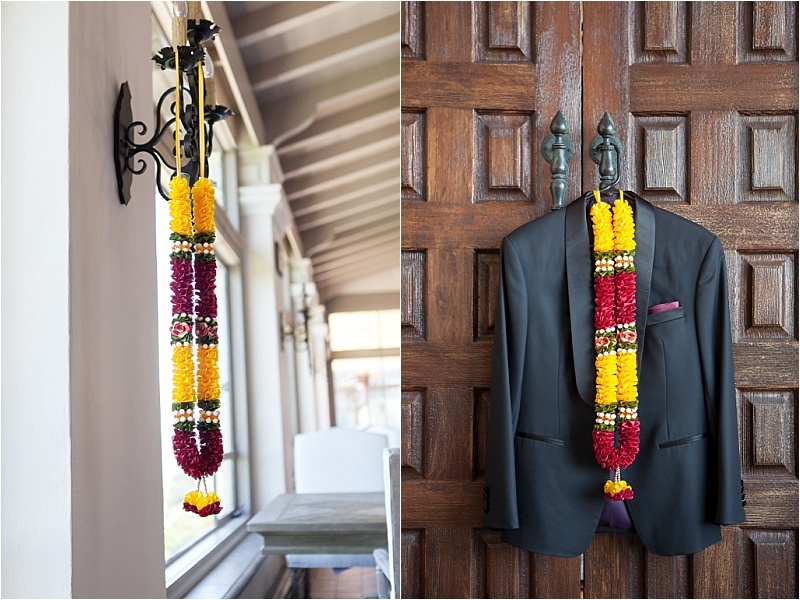 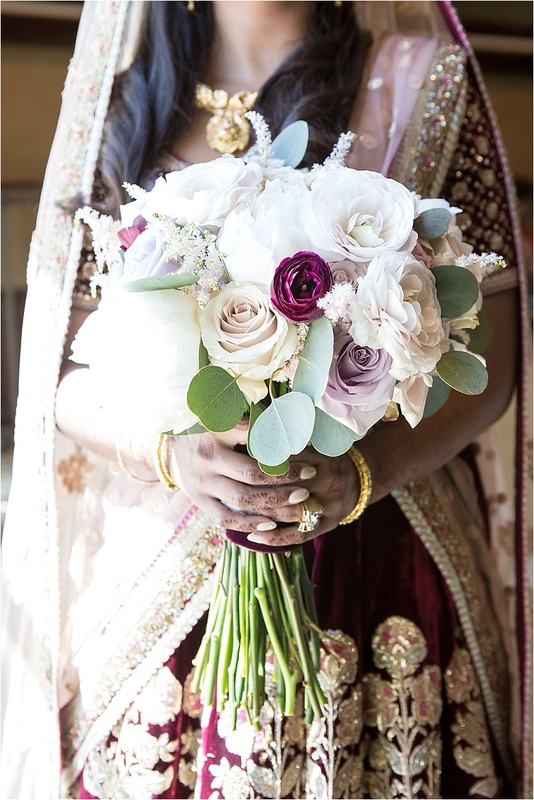 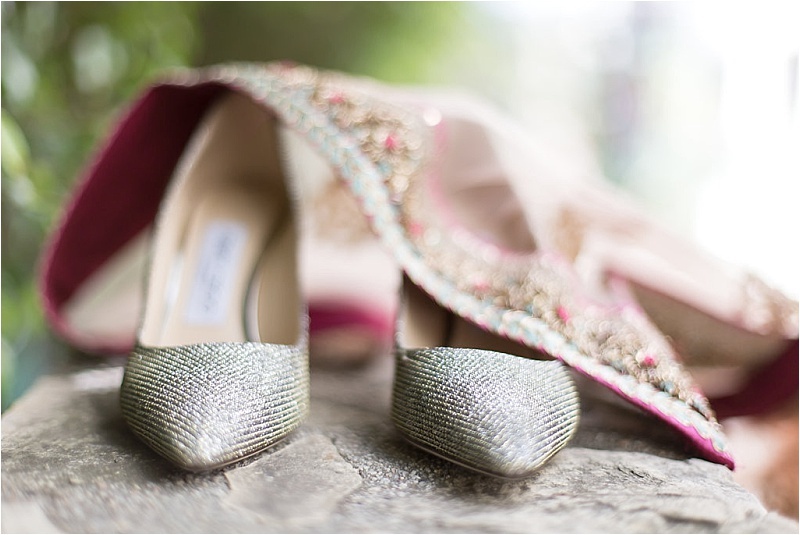 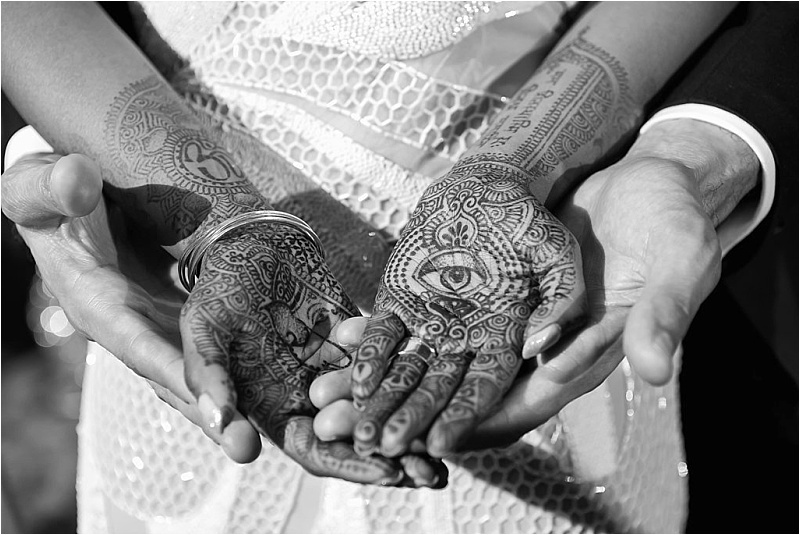 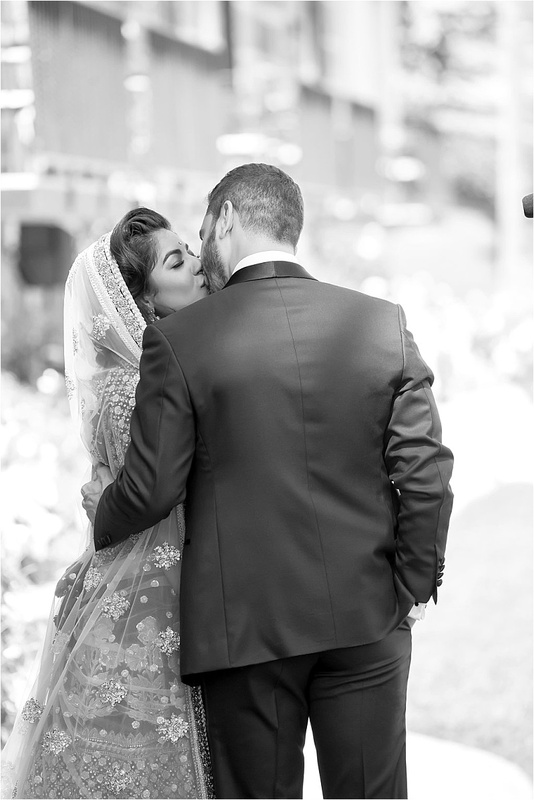 Gabe was raised Jewish, and Lakshmi was raised Hindu, so incorporating elements from the two religions was an integral part of their wedding design. 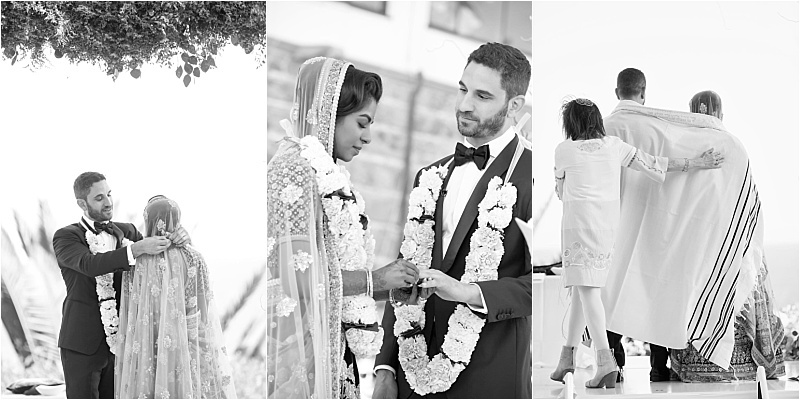 Having a multicultural ceremony that showcased the beauty and romance of both the Indian and Jewish cultures was key. 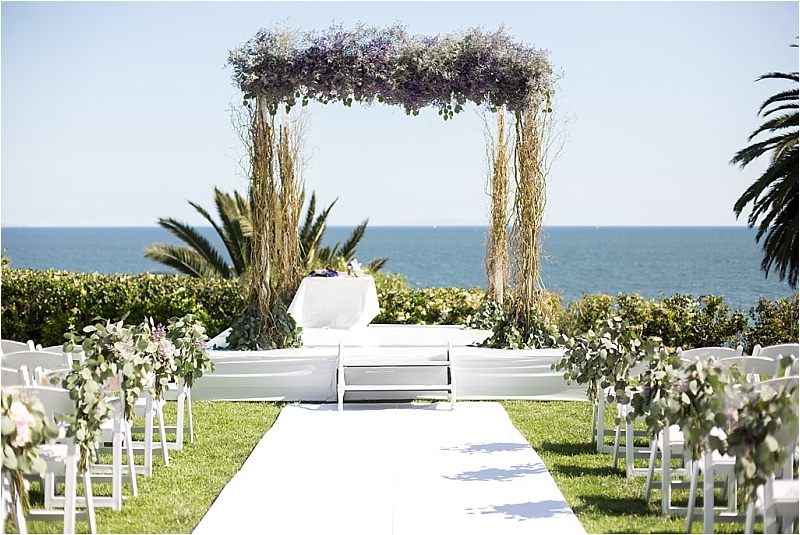 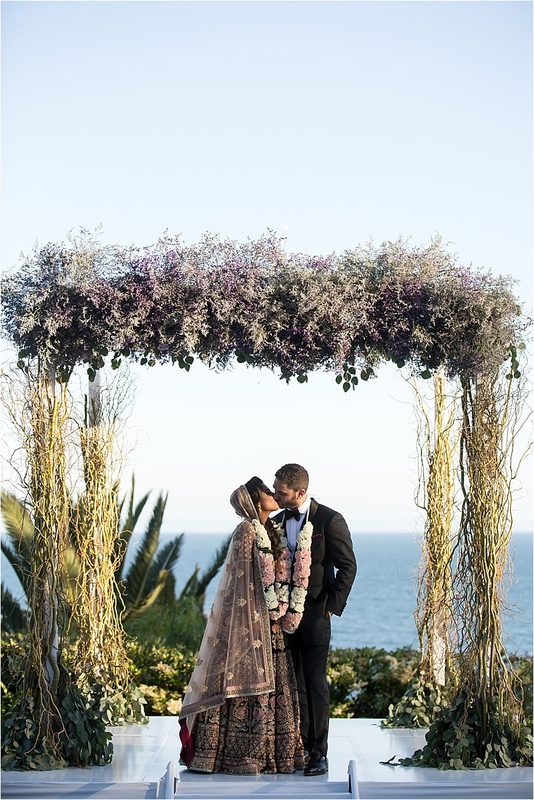 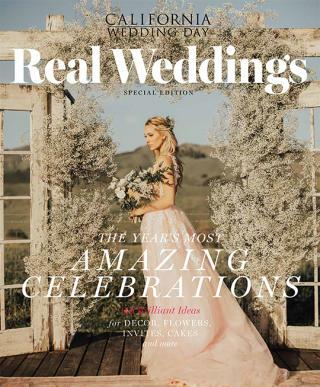 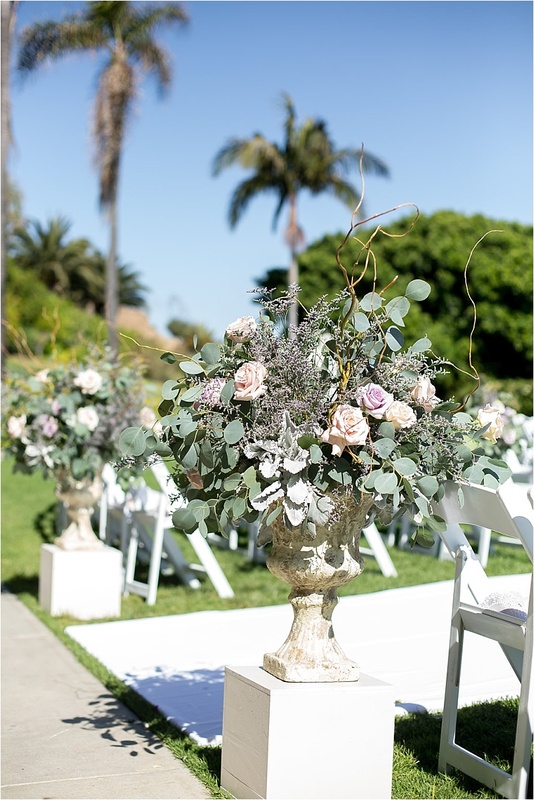 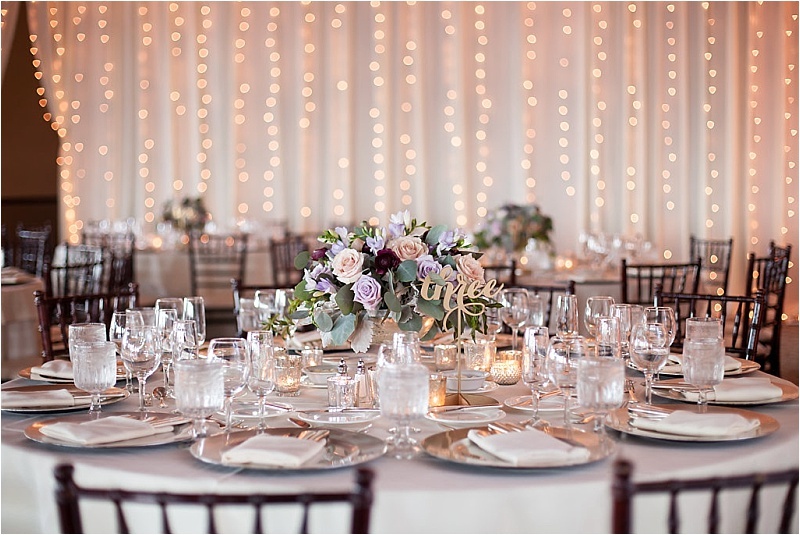 The seaside ceremony featured a combined mandap/chuppah design adorned in curly willow and lavender-hued blooms to catch the light of the sun as it set. 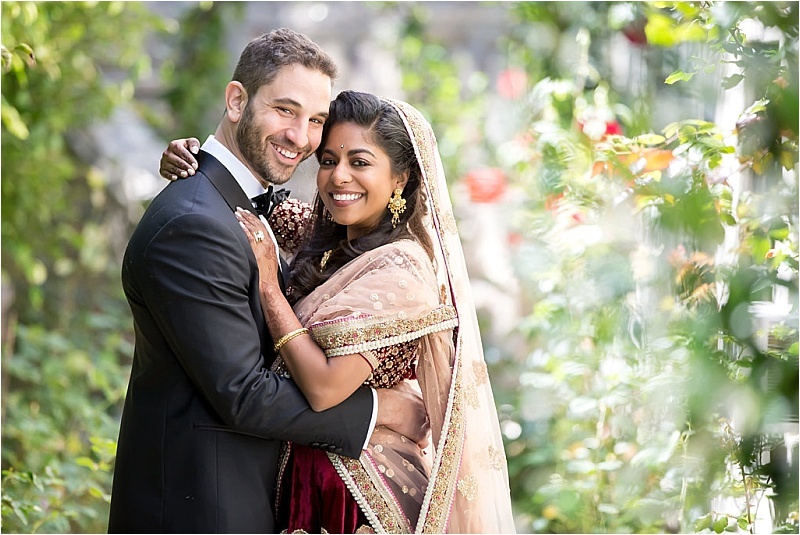 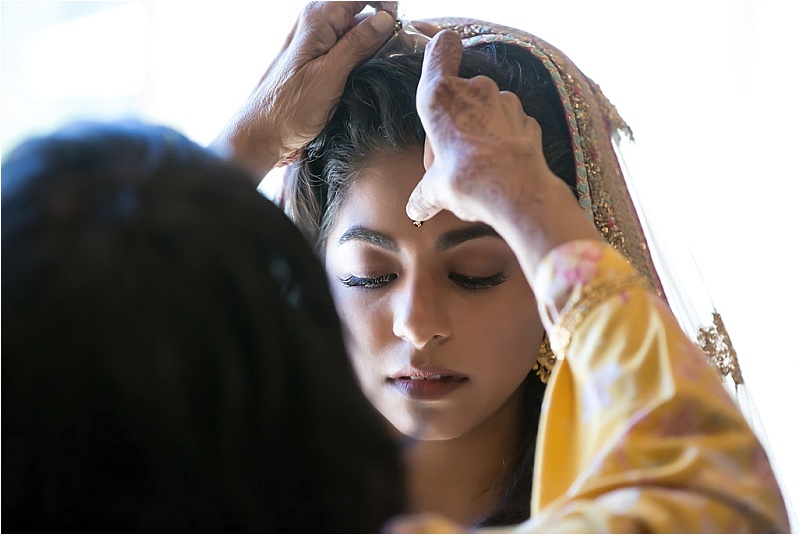 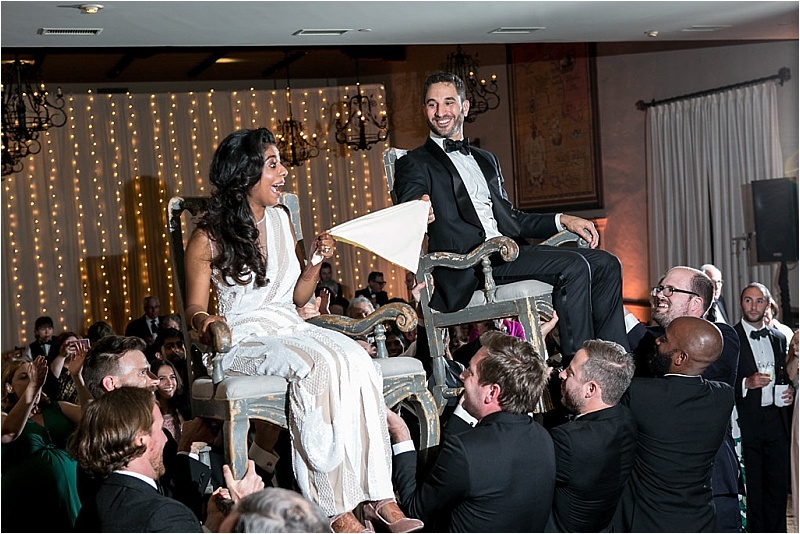 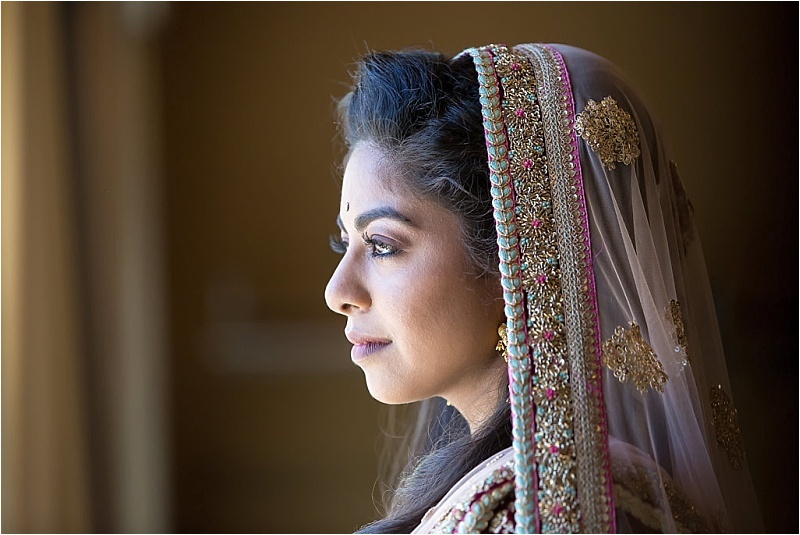 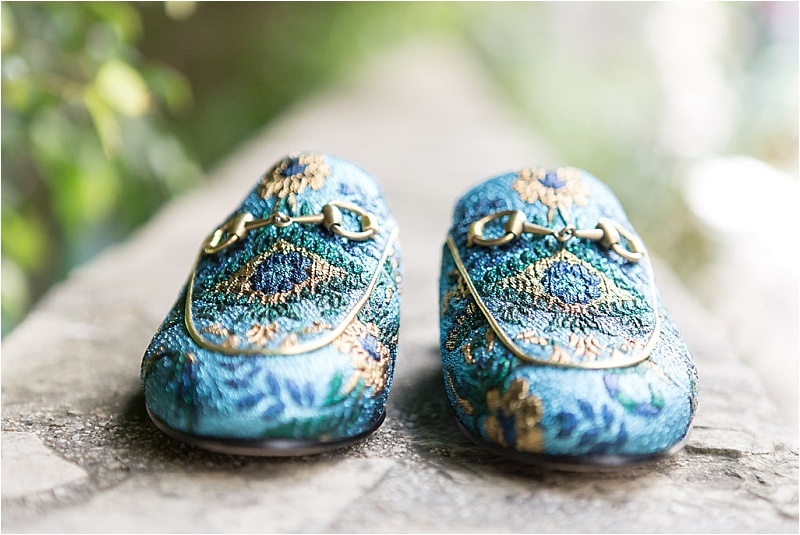 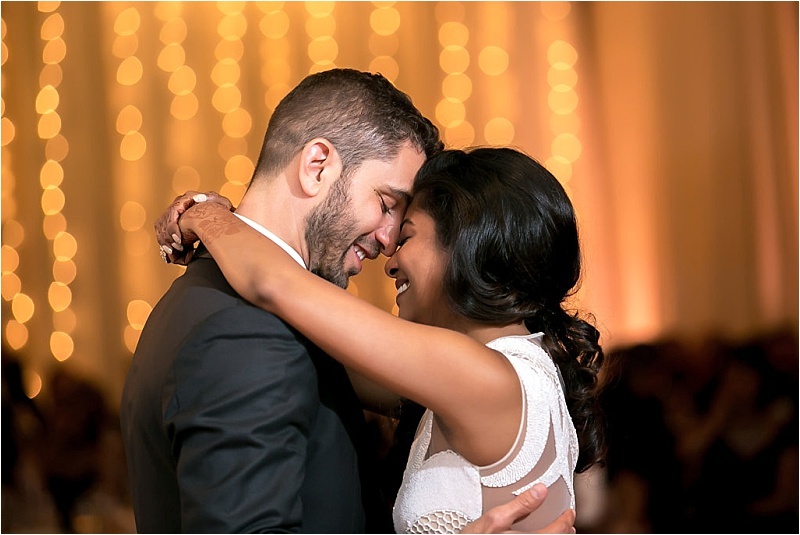 Family and friends were invited by the rabbi to perform hindu steps during the fusion ceremony, a sentimental moment symbolizing the melding of two cultures and the bride and groom’s vision for their future. 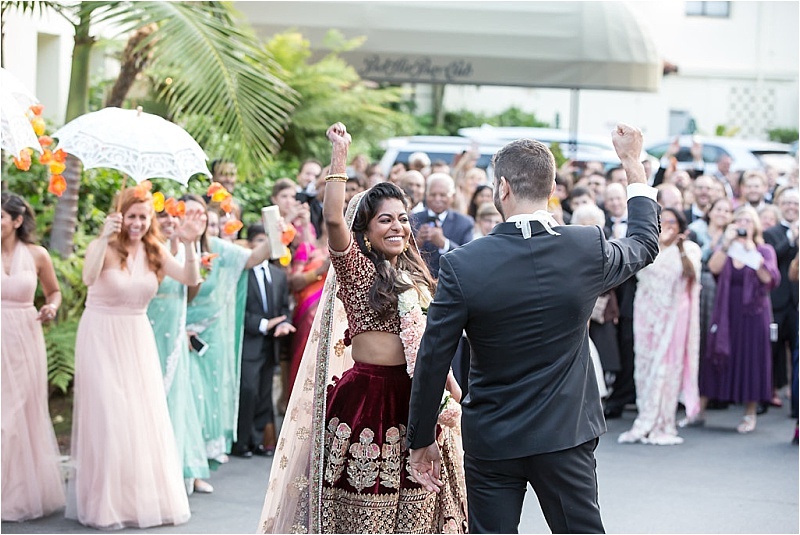 Friends and family cheered and tossed flower petals as Gabe rode in on a white horse as part of the Baraat, a traditional Indian processional before the ceremony. 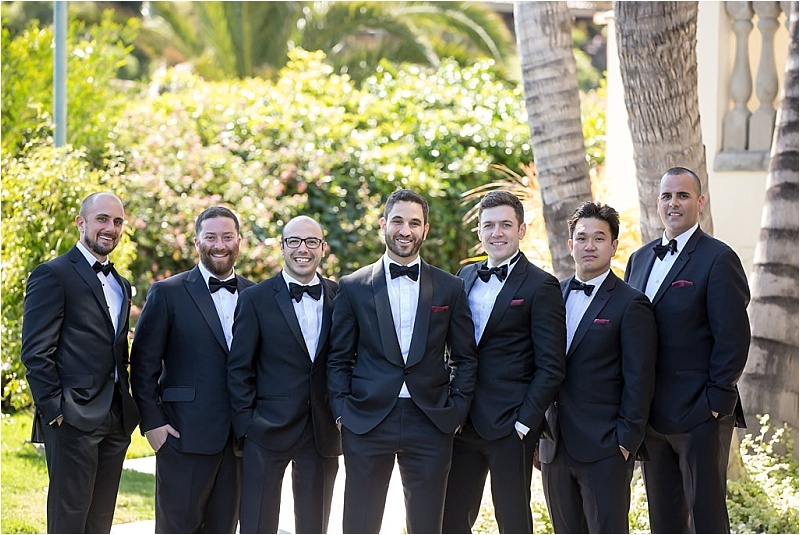 The band played “You Can Call Me Al” as the groomsmen surrounded Gabe and met the parade of guests waiting to see the groom. 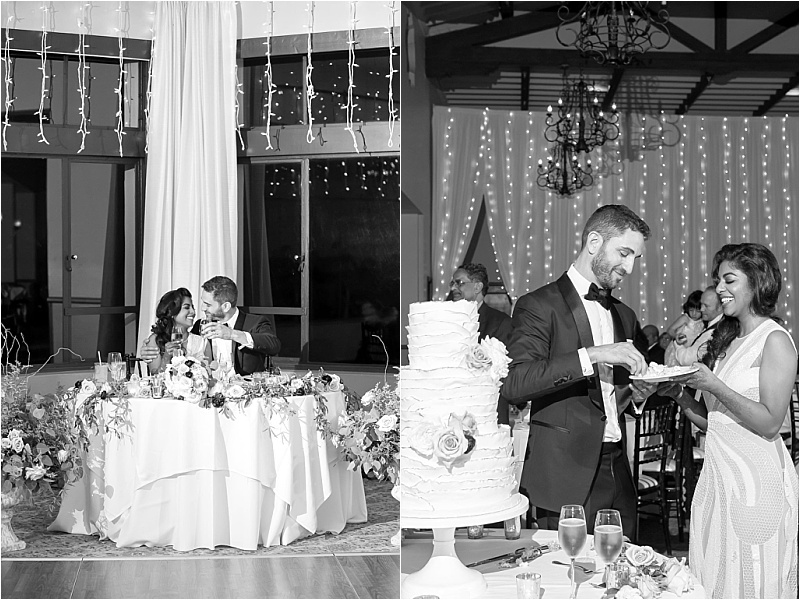 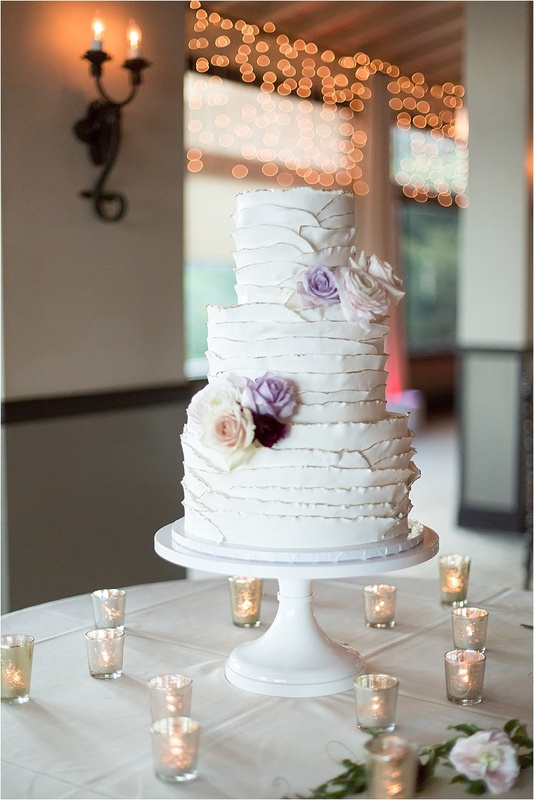 A gorgeous, textural three-tiered cake graced with violet floral accents was one of the most memorable elements of the day for Lakshmi and Gabe. 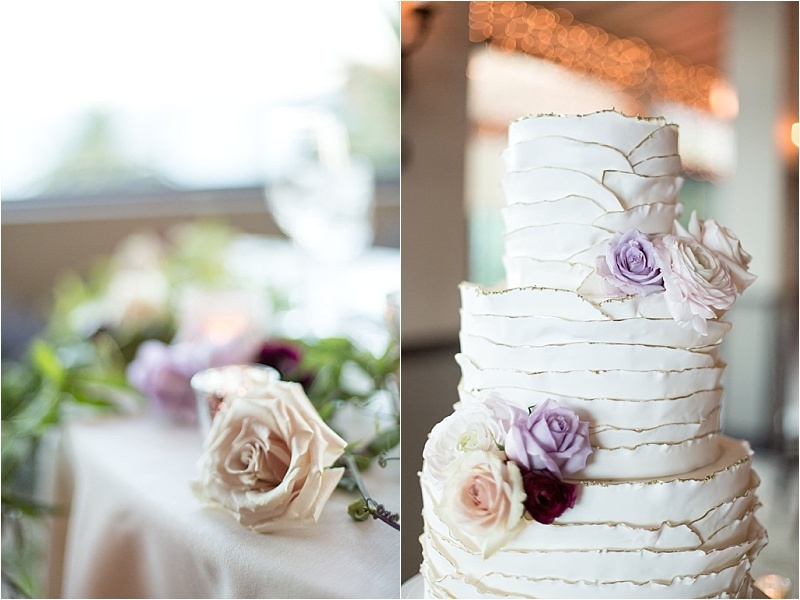 Scalloped edges dipped in gold mimicked the waves of the ocean, while layers of pistachio, sea salt and caramel, and strawberry shortcake layers made for the most decadent dessert the couple had ever tasted. 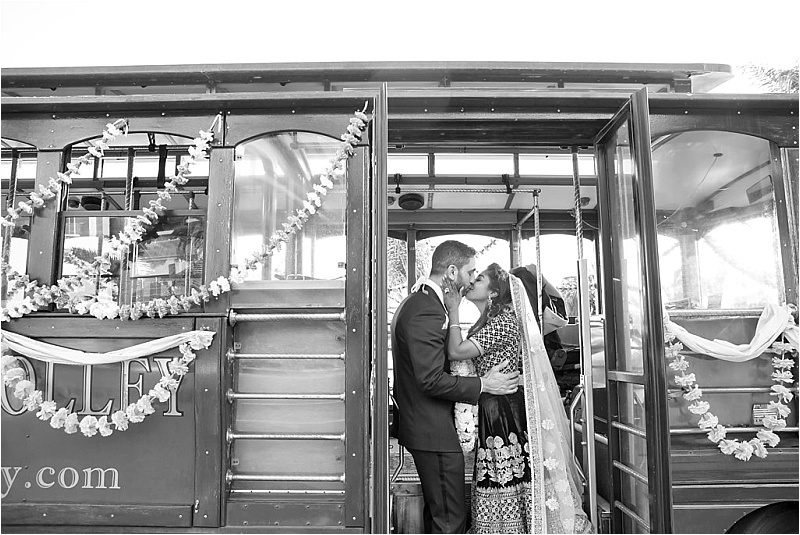 The bride and groom rode into the reception on an old-fashioned trolley hand-decorated by the bridal party and given the name “The Delahaye Limited.” The Mudbug Brass Band surrounded the trolley as the bride and groom approached the guests.